It's the end of September. Summer is officially over. But here in Rochester, the crisp autumn air is finally sweeping through. If your garden is like ours, the tomatoes are still multiplying. We have enough for salads, plain with a dash of salt, or on a sandwich with a simple slap of mayo. This colorful combination is by far my favorite way to enjoy them – ripe and fresh of the vine! Make dressing by combining olive oil and juice of lemon; Shake with salt and pepper in mason jar until emulsified; Set aside. 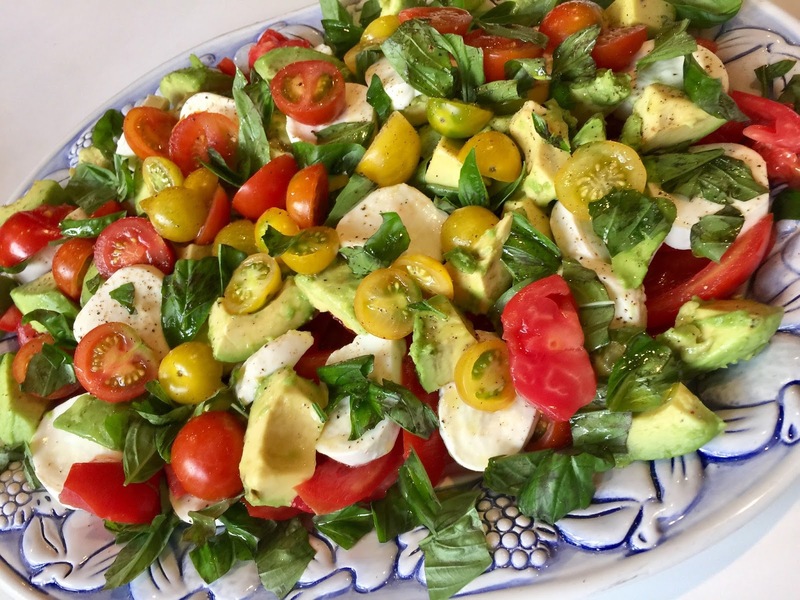 Arrange sliced tomatoes, mozzarella, avocado alternating ingredients evenly.